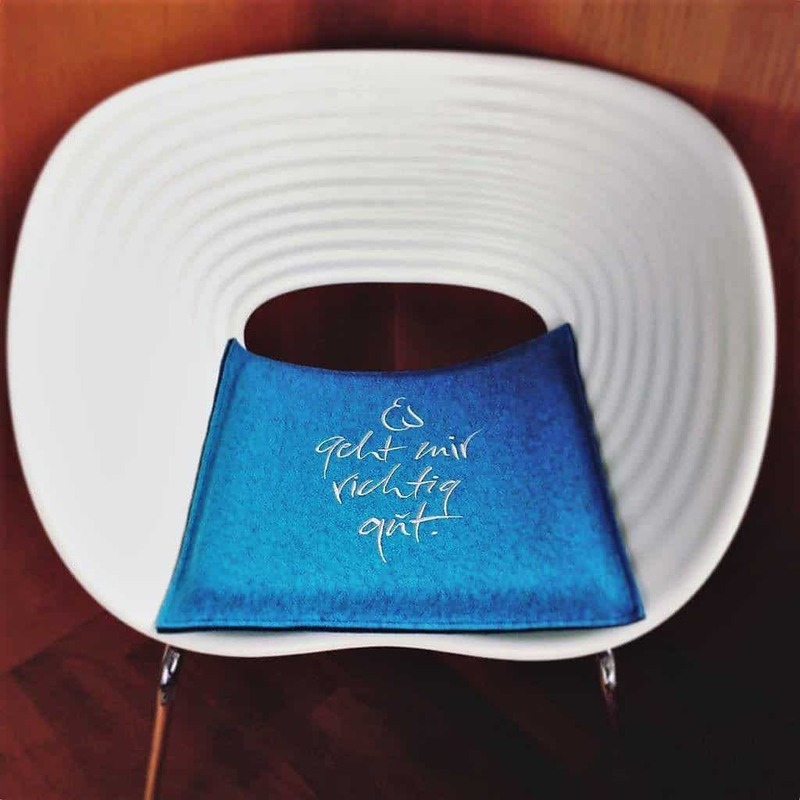 Sonnhof cushion embroidered with the ‘Es geht mir richtig gut’ maxim – available in German only. Ideal as a seat pad – for meditating on the floor, driving, at the desk, in seminar rooms, at the dining table or on the garden bench. These very high-quality cushions are from Original Giesswein Naturwalk, embroidered and sewn in Tyrol and particularly durable, dirt and water repellent.